Dropbox, the cloud storage provider, has made huge leaps this year and has claimed to hit the 100 million members mark. How many of them that are active remains unknown, but the vast majority of members have, at sometime or other, used and utilized the service for storage needs. Dropbox was one of the original cloud storage services that offered a small amount for free and a paid package if you would like more. The simplicity and speed made Dropbox very usable for novices and it quickly became a favorite. Since then, Google, Amazon, Apple and Microsoft have all chipped and created their version of cloud storage. While all these companies have the cloud storage deeply integrated into the services they provide, Dropbox is able to work on all different OS’es and reap the benefits. Dropbox has quadrupled in users of the past year and with the newer cloud options we are surprised. 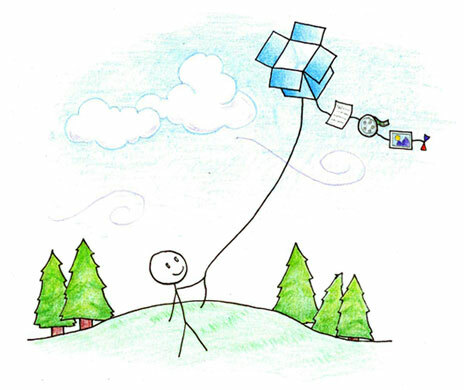 It seems while more options come to cloud storage, Dropbox continues to flourish. Dropbox have good ways of bringing customers back, for one, they seem to increase storage whenever a viable other solution comes around, like Google Drive. Even with the large amount of competition, Dropbox CEO Drew Houston revealed he isn’t concerned, as he believes Dropbox is still a few years ahead of the other services. He believes that while they have to work on getting the simplicity and good service sorted, Dropbox can continue to have new ideas and features implemented onto the application. For us, it feels like until a company or developer comes up with a way to make cloud storage easier than Dropbox, more available and larger in free size, they will continue to grow. If someone does this though, Dropbox still has the advantage of adding more features and keeping users on with more free storage.